Does your garden need an overhaul? If you want a bespoke garden design in Poole, look no further than Bamboo Landscapes. We cover all aspects of landscaping and gardening from planting flowerbeds to repaving driveways. You work hard to make sure your house looks good on the inside, so why not make the same effort with your garden? At Bamboo Landscapes, we have a team of dedicated landscape gardeners who can come up with a beautiful design that will completely transform your garden in Poole. With our soft landscaping services, you have a wide range of materials and vegetation to choose from. If you want to mix and match your soft landscaping, we will be happy to offer our expert advice and recommend plant combinations that complement each other. Hard landscaping serves as a frame for your soft landscaping materials, and gives you a space to enjoy the outdoors and take in the views of your newly designed garden. Whether you want a timber pergola or a water feature, we will make your garden is tailored to you. Why select our Poole garden designers? When you choose our landscapers for your garden design in Poole, you can guarantee high-quality results at a great price. We use premium materials in our landscaping work to create the best possible results that will remain in great condition all year round. Additionally, we ensure all shrubbery and plants are lush and healthy for a more vibrant look. We take pride in our garden designs, and carry out all work to the highest possible standard no matter how big or small your garden may be. We also believe that a garden renovation should not interrupt your home life, which is why we keep the area as tidy as possible during the project. Previous Poole customers who have used our design services will be happy to tell you of our polite and helpful customer service. We take the time to discuss your ideas with you before drafting up a Poole garden design. Once we know how your garden will be used, we can suggest the best design features for your requirements. Whether your garden is a place to relax, to entertain guests, or to maintain as a hobby, we will produce a design that fulfils its purpose. See some of the stunning gardens we have designed in Poole recently in our gallery. 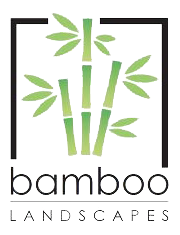 For the best garden design in Poole, give Bamboo Landscapes a call on 01202 805 882 or send an email to bamboolandscapes@hotmail.co.uk.